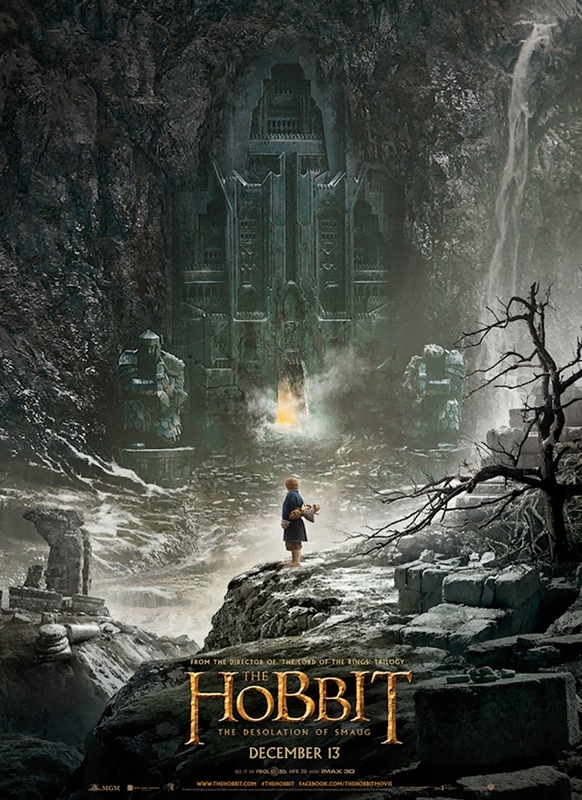 The Hobbit: The Desolation of Smaug picks up shortly after the end of An Unexpected Journey. Titular hobbit Bilbo Baggins and his companions are still trying to make their way to the Lonely Mountain to face Smaug. Gandalf unexpectedly parts ways with the group but they still manage to make it to the mountain and Smaug. But can they defeat him? I really enjoyed this film, and that’s coming from someone who was pretty disappointed with the first one. What’s different? Well, for one thing, the dreaded high frame rate is a lot better in this film. It was very jarring right off the bat in the first Hobbit but I didn’t mind it as much here. Still, anything that’s predominantly CGI and fast paced looks pretty terrible to me. For instance, the “ring vision” (whenever Bilbo puts on the ring) is pretty tough to watch. I also feel like the acting was a little stronger here. Newcomer Lee Pace was creepy as an elf king. Evangeline Lilly as Tauriel the elf was dreamy (a little dramatic at times, but dreamy). I really enjoyed her unexpected romance with Aidan Turner’s Kili. Orlando Bloom was...Orlando Bloom. Luke Evans as Bard was an unexpectedly compelling character. Other than the high frame rate, the effects were a mixed bag for me. Before seeing the movie I read (see badassdigest.com) that several of the CGI villains were originally played by actors in costume and makeup. I’m not sure why the filmmakers decided to replace them with CGI characters. It definitely made me nostalgic for the practical character effects from the original Lord of the Rings films (although, that’s not to say that Desolation had no good practical effects). On the other side of the spectrum, I think they did a great job on Smaug the dragon. Both Benedict Cumberbatch’s performance and the computer rendered dragon were amazing and the film really jumped up a notch once Bilbo met Smaug. Another positive is that the whole film had an old-fashioned fantasy feel to it for me. This could have easily been a film I watched growing up in the ‘80s and ‘90s but I’m not sure why. It could all be simply because I grew up on that creepy Rankin and Bass version of The Hobbit and I’m simply remembering that. At the end of the day, I liked this sequel a hundred times more than the first film and I was actually a little disappointed when the movie ended (with a huge cliffhanger, no less). I can only hope that the second sequel and final chapter in the film, There and Back Again, improves on this film as well. Smaug was a nice payoff at the end, but it took too damn long to get there.